What is cloud computing, and how can it enhance your business? And where the idea for the cloud come from, anyway? At first, businesses had scattered workstations and laptops, but they didn’t want all of their data to be located in different places. There was a need to have one central location for data and security, so businesses started to buy servers. But businesses quickly realized that servers were being underutilized, and there were software conflicts when having multiple applications on one physical machine. In addition to that, bigger companies had hundreds of servers, and all of them were being virtualized. Companies started to realize they could offer these solutions to the public. That’s when the idea of cloud computing started to become a reality. The generic term “cloud” is really in reference to public clouds, which is when you have one operating system that goes throughout the entire data center (and sometimes multiple data centers). The cloud can then be replicated to another data center, which creates a real multi-location cloud computing environment. When making the transition to the cloud, email, calendar, and contacts can and should be the first component to go to the cloud. Email is critical so you can communicate to staff, clients, and other networks in the event of a disaster. Two of the most common solutions are Hosted Exchange and Google Apps for Work. Basically, it becomes a question of whether you prefer Outlook or Gmail — and you can take it from there. There are numerous options out there for online collaboration. Google Drive and Office 365 allow real-time editing, collaboration, and video conferencing. There are also online versions of Excel, Word, PowerPoint, etc., that are similar to the Microsoft Office you’re used to. Additionally, solutions such as Dropbox and Box offer document sharing, file transfers, and access control. This is the “poor man’s disaster recovery.” If you need plenty of space to store files where they’re protected from disasters but don’t want to spend a fortune, cloud options could be the answer. In fact, many cloud storage solutions offer unlimited data for a small price tag. Google Drive, Dropbox, and Amazon S3 are a few of the most popular options. This is the “rich man’s disaster recovery.” This involves essentially replicating or moving full servers to the cloud. This infrastructure is more powerful than a typical small business can afford, but it offers large companies peace of mind knowing their files are safe. Netflix is a great example of how the public cloud can be used. Public clouds don’t require an initial powerful infrastructure, can be attained from a variety of providers, and can be scaled up to accommodate millions of users. Basically, they can handle an “Oprah’s Favorite Things” type of instant popularity. Private clouds are physically dedicated servers. They’re your dedicated equipment — sometimes even your physical equipment. Private clouds offer private, secure connections rather than a shared-tenant environment. Virtual desktops aren’t widely affordable, but they’re headed in the right direction. These are great for not having to replace hundreds of physical older desktops. 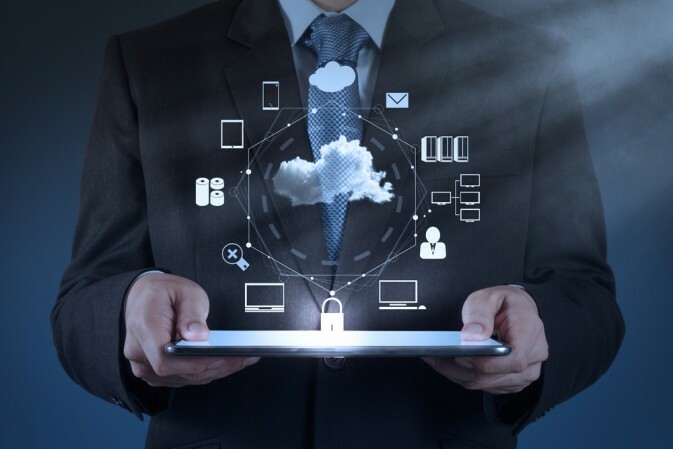 There are many advantages to cloud computing for businesses and organizations. Technology is increasing the options to the consumer and making better, more innovative products available at lower prices. I recently spoke about IT at #SUMtech15. If you missed this year’s event, make sure to subscribe to the SUM Innovation blog for the latest updates on next year’s event. Do you have a question about cloud computing? Feel free to contact us for advice or a second opinion; we’d love to help in any way possible. Call 212-737-0608, or email us at info@contangoit.com.